I've been listening to Kim Scott's book Radical Candor during my commute this week, and there is lots of great advice in there. It's on my recommended not-boring reading list for product managers. One of Kim's early chapters really rang true for me, and I can't stop thinking about it: Kim's definition of 'rockstars,' which is so very different than how that term is typically used in our industry. A business needs both 'rock stars' (an annoying term we so commonly use in tech) and 'shooting stars'. In other words, a company needs both stability and growth. A rock star is someone who brings stability to the team. These are people who are happy honing their craft, and are more likely to be tenured. Rock stars, as Kim Scott defines them, do not typically want to move into management roles - they are comfortable being masters of their craft. 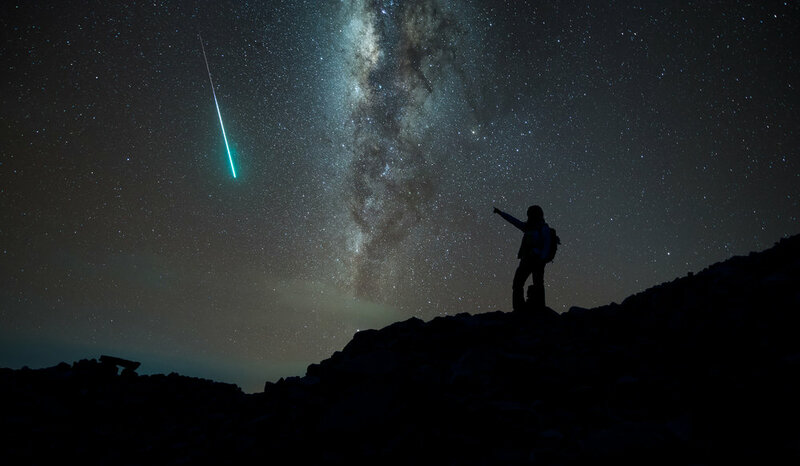 A shooting star is someone who wants to advance their career quickly and wants to get on the management track. Shooting stars are typically gunning for promotion and need new challenges often. Shooting stars want upward growth, and promotions are probably what they're looking for. Both rock stars (stability) and shooting stars (growth) are important for a product team, as they bring different skills to the table. Here are 4 important lessons from Kim's distinction between rock stars and shooting stars. According to Kim, managers often want to promote rockstars, since they are so good at what they do. However, this is the wrong move if those people do not want to be promoted, especially to management. Let rockstars do what they do well. 2 - Some people are content to do what they do best. Some developers just want to write code, and some product owners just want to manage user stories. There is nothing wrong with this. While shooting stars are often looking for new and different challenges, rockstars are focused on being even more awesome at what they do. 3 - A person may be a rock star one year and a shooting star the next. Kim talks a lot about how our career goals change and evolve. This means that someone who is content to manage the backlog and run scrum ceremonies for 5 years with no issues, might one day decide they're ready to fast-track their career into management. Kim encourages managers to ask the questions: "What growth trajectory does each person on my team want to be on right now?" and "Have I given everybody opportunities that are in line with what they really want?" These are also important questions to ask ourselves: What growth trajectory do we want, and have we talked to our manager about wanting those opportunities? 4 - Rock stars and shooting stars are equally important. This is the most important takeaway. A successful company - and a successful product - need both rock stars and super stars. In other words, a company needs both stability and growth. Rock stars and shooting stars provide different but equal value to the team. This was an important reminder for me, and led me to say some long overdue 'thank you's' to the rock stars on my team.